Gone are the days when remote work was just a fascinating anomaly–barely heard of and rarely practiced by most organizations. The landscape has changed. Research indicates the remote work will equal, if not surpass, fixed office locations by the year 2025. 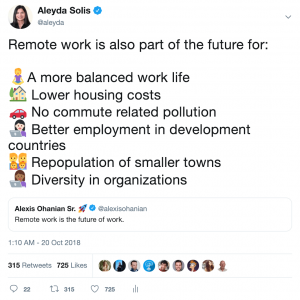 As more companies recognize the benefits of extending their talent and recruiting reach beyond their local geographies (a more balanced work life, lower housing costs for employees, no commute related stress and less pollution, increased employment opportunities in development countries, repopulation of smaller towns and diversity in organizations), remote work will continue to gain momentum as the standard for organizations all over the world. So how will the future of remote work evolve in 2019? After all, every company and every worker is different. What are the tools and trends that will shape the way today’s remote employee interacts with their employer? To answer those questions, we must first take a look at the current landscape for remote work, organizations and professionals. Nearly two-thirds of U.S. companies have employees that work outside of the office. To put it into perspective: 3.9 million people in the United States worked remotely at least half the time in 2018–up 115% from the number of remote workers reported in 2005. For companies in large cities with a high cost of living, remote work opens doors to new talent pools in other parts of the country. Companies are finding that they can hire remote employees with the same level of talent and experience as local candidates, and at a much lower cost to both the employee and the organization. Remote work also opens doors to skilled candidates who are unable or unwilling to relocate. Geography isn’t the only determining factors for remote work, however. As popularity for the “digital nomad” life grows, employees are negotiating a flexible working environment as part of their benefits package so that they can travel to and work from wherever they choose, while maintaining full-time employment. The payoff for employers is huge. Over 82% of millennials who work remotely, report an increased sense of loyalty to their employer as a result. Employers save money on recruiting and training costs and reap the benefits of a loyal, actively engaged workforce. Additionally, studies have demonstrated that there’s an increase of productivity when working remotely, despite traditional companies concerns of not being physically at the office. 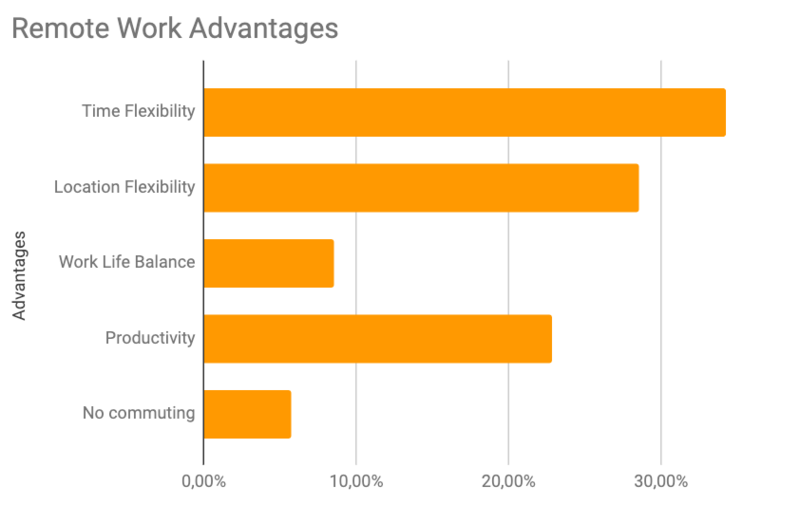 Besides our own experience as remote working professionals, we have been able to see these reasons also through the answers of our Remoters Interviews series with remote working professionals, organizations and experts, where time and location flexibility have been the top mentioned remote work advantages, followed by an increased productivity among remote working professionals. Of course, working remotely isn’t without its challenges. It requires a completely different mindset than working in a traditional office, side-by-side with co-workers. In fact, 20% of remote employees report a feeling of loneliness as a result of moving to a solo working environment. The good news is that the solution may be only a few clicks away (and addresses another common complaint of remote work: communication barriers). Remote work tools and communication platforms have evolved well beyond simple phone calls and emails. 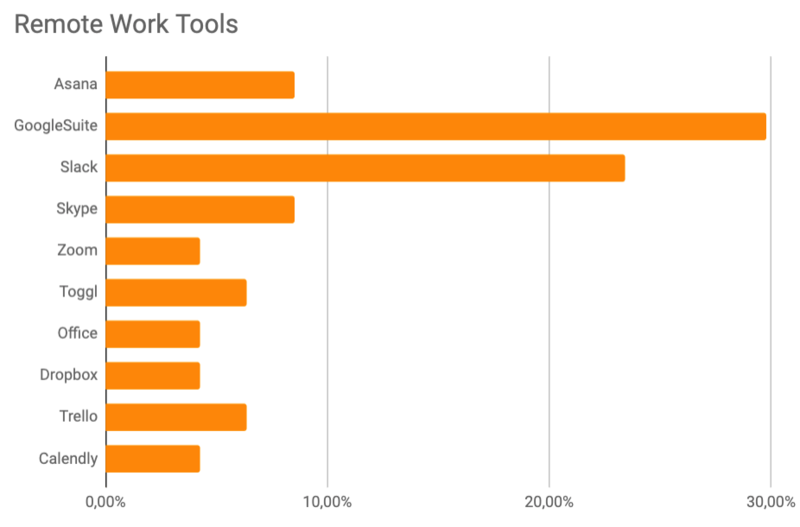 Video and chat platforms are connecting remote workers in ways that conferencing tools of the past never could. With the variety of video, chat and collaboration tools available today, remote workers have the ability to connect with co-workers in an instant and meet “face-to-face” over video. 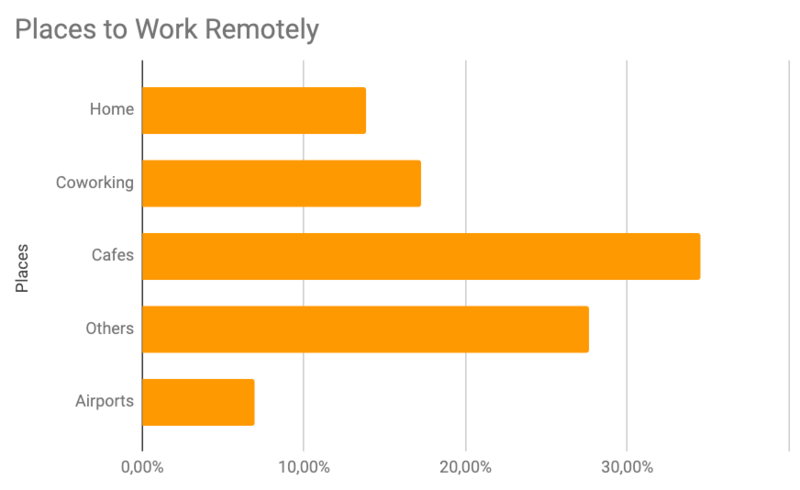 This was again confirmed when we asked about which were the most important remote work disadvantages when doing our Remoters interview, we found that the top ones were the lack of personal interactions and isolation/loneliness. As the fixed-office environment shifts, employers must change their entire approach to how they manage their workforce. The first step is securing 100% buy-in from the leadership team before instituting remote work policies. This includes a plan for communication tools, processes and activities, squelching distance bias before it has a chance to take root, providing flexibility to employees so they can actually choose if they want to work from home some days go to a coworking space a few days per week in case they feel isolated, organize “team retreats“, among others. 83% of employees feel that they don’t need to be in an office to be productive. It’s up to employers to provide them with the tools, processes –and then the trust–to prove the business value of their work as a remote employee. While the expectation of basic fluency for technology and digital tools exists with every type of working model (including fixed-office work) the need for next-level digital proficiency is much higher with remote workers. They need to know how to utilize communication and workflow tools that “close the geographic distance” and keep projects running smoothly. 78% of HR managers expect skills to become more specialized in the coming year, and a high share of the current remote roles are of digital nature: digital marketing, Web development, etc. which have been traditionally easier to do remotely. Remote roles open up new opportunities for candidates who aren’t interested in or able to relocate. It also offers them more leverage to negotiate salary and benefits as their specialization increases in market value. As companies invest in specialists, the availability of continuing education and ongoing training will become more of a focus to attract and retain specialized remote workers. Additionally, if you look to be able to work remotely with companies abroad -we’ve seen through the Remoters jobs section that most of the companies providing flexibility tend to be originally from the US and Europe-, and to coordinate and communicate with a team of people from all over the world, it’s critical then to be able to speak with them in the same language, which is going to be usually in English, and because of this, most remote jobs positions at the moment require to be fluent in English. 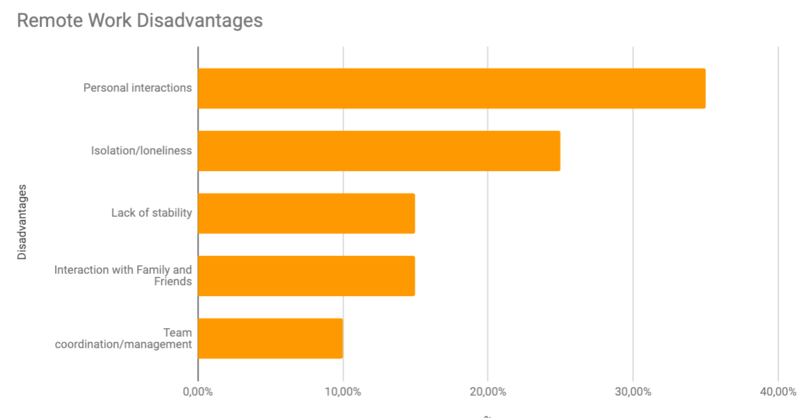 Organizations are starting to realize that although remote work is the preferred way of work for many, it’s really about having choices and flexibility based on each person personality and needs. Studies have shown that there are certain characteristics that will make people to more suited to work remotely, and based on our own experience and through the Remoters interviews we have seen how not all of the remote working professionals really want to be just traveling all the time, or working from home or a specific location, but need and want flexibility. It will be then more important than ever that when companies start with a remote work setting, alternatives are provided to employees so they can easily overcome the challenges shared before, such as isolation, and lack of personal interactions: Covering coworking or colivings locations whenever the person needs interactions, having programs to do group trips like the ones of Remote Year, organizing team retreats, as well as to start using some improved communications tools better focused on remote working needs, such as Pukkateam or Focusmate. When doing the Remoters interviews we found that the top mentioned location to do remote work from were not coworking locations or the people’s home, but cafes. 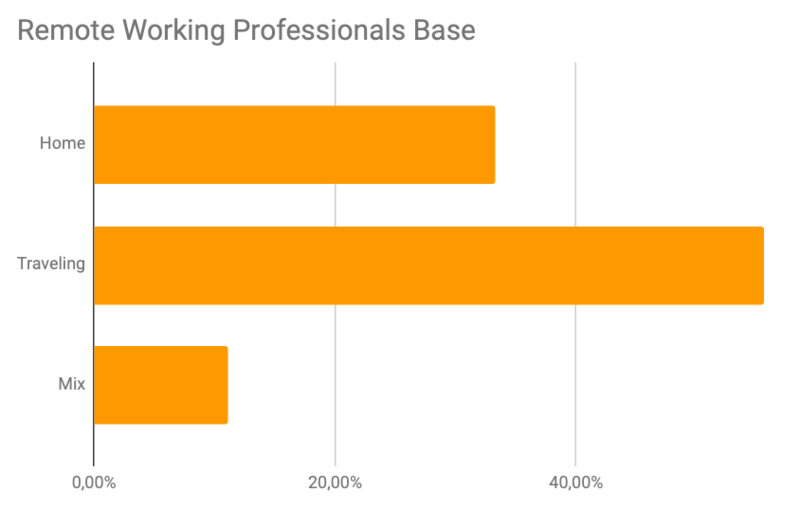 Many people answered with many locations, these are not mutually exclusive, however, it shows the importance again of having flexibility of choosing different places from time to time and then also how cafes that are still not “remote work” ready, should to address the needs of a high share of remote working professionals, and potentially, how coworking spaces that still don’t allow day passes or more flexibility for digital nomads should start offering them. Although already popular productivity, project management and communication tools such as the Google Suite, Slack, Asana Skype or Trello are already highly used by remote working professionals, there’s a clear need for a new generation of tools that provide better support and required additional functionalities targeted to remote working professionals; like Loom to easily share video recordings, timely for fully automated time tracking, focusmate for a virtual coworking to avoid procrastination, or Pukkateam for virtual communication with video rooms. Additionally, remote work require additional security measures and businesses must consider additional safeguards to protect the data that is managed by remote employees, by using VPNs when connecting to the internet and using passwords managers. 38% of remote workers say that they don’t have the confidence in their own expertise when it comes to IT and security. Organizations will then need to provide new security tools and protocols for the remote workforce. As new technology and the demand of a specialized distributed workforce evolve, remote work will continue to evolve along with them. A new generation of workers is defining how and where work is completed. To attract and keep the best talent, organizations must continue to explore new ways for their employees to interact with the business and each other– regardless of their zip code. If you’re looking to start working remotely, take a look at our Digital Nomad & Remote Working Resources Guide, remote jobs board, tools and interviews section for resources, inspiration and tips.